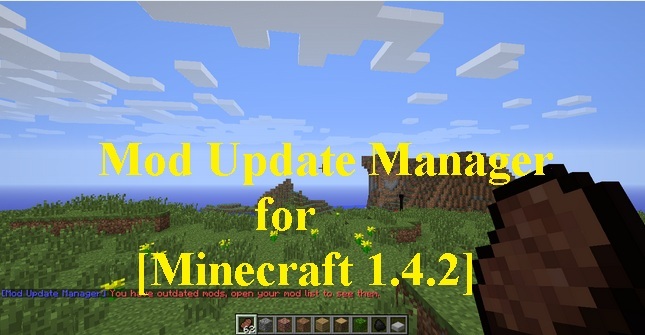 Mod Update Manager for Minecraft 1.4.2 is a custom tool for Minecraft players. The tool is basically a source-only mod and other modders can pacakge their mod and also they can include some version checking. 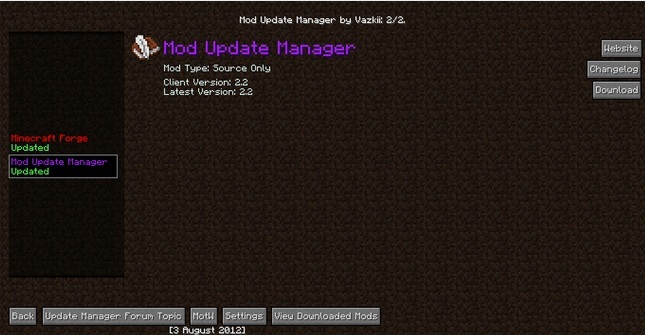 The mod can easily coded by third party and it can handles all updates in their original form. So don’t hesitate to check it out.. Description: A mod that check your updates. Unfortunately there is no guide available for this mod because its just a pre-release. But it will be available soon. If you are facing some difficulty while downloading the mod or something else please let us know via comment section.